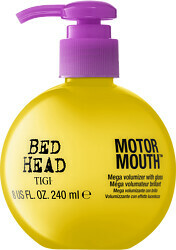 Add immense body and shine to your hair with TIGI Bed Head Motor Mouth, a thickening treatment. Created for those looking for a dose of density and volume, this unique formula adds texture and shine to thicken and boost your hair’s natural body. Used as a perfect pre-blow dry treatment, its lightweight texture makes it layerable and great to use with any other styling tools. Infused with a UV glow, tinopal emits a light-reflecting formula that creates a statement look with improved manageability and a smooth, sleek finish. Pump 2-3 squirts of the lotion into your palms and work into your hair. Blow dry and style as desired. To create extra ultraviolet streaks, apply liberally to dry hair. 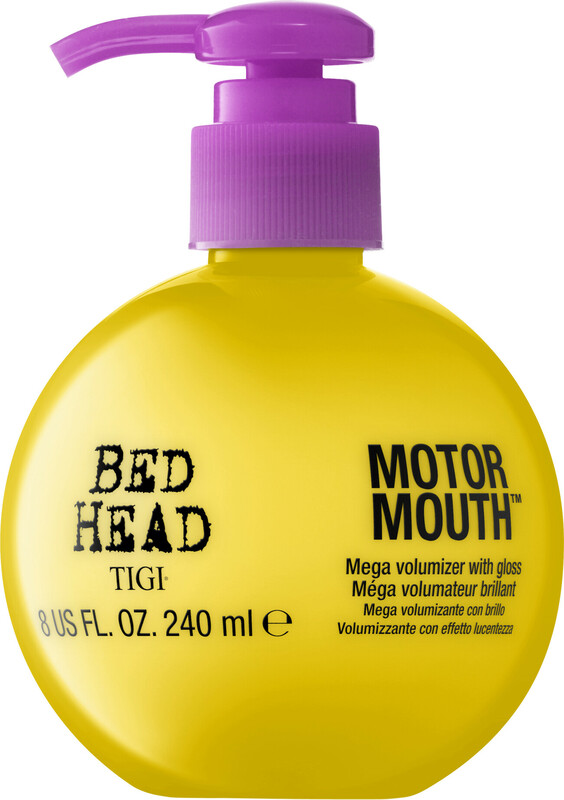 TIGI Bed Head Motor Mouth 240ml is rated 5.0 out of 5 by 1. Rated 5 out of 5 by Twiggs from Best hair product I was so impressed when my hairdresser used this product on my hair, I went on your website & bought 2 !! The shine it gives my hair is really good.